Once out of the car, I could not believe it. I like being stuck in a Pandora's box in which there is a dead sea that is not connected to the ocean. White sand looks shiny, coconut trees are beautifully twisted, and graceful waves dancing to the beach. I'm like, I'm dreaming there's a sea that is not salty, and became one of the most beautiful in the world. I was on the beach, but I realized it was now at 657 m asl and in the middle of Sulawesi/Celebes island. 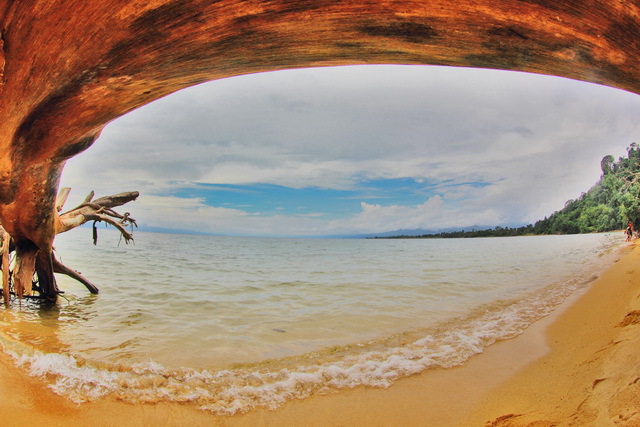 Right, I was enjoying the white sand and the small waves of Lake Poso. 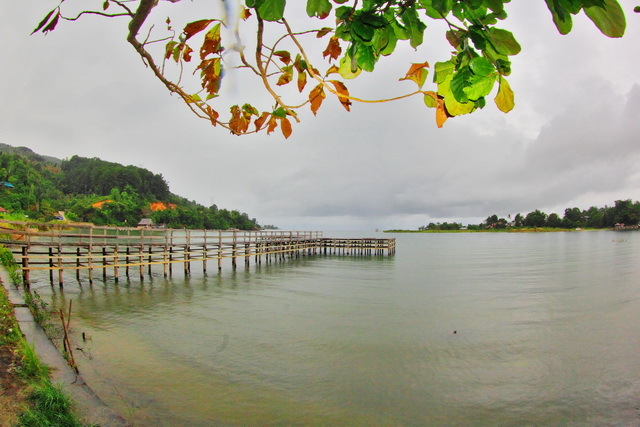 Lake Poso located in North Pamona district which is capitalized in Tentena is the largest lake number 3 in Indonesia. With a length of 32 Km and 16 Km wide make this lake like a small sea in the middle of the mainland. I believe anyone who first comes here will think the beach with white sand is the sea. The coconut and ketapang trees (Terminalia cattapa) sometimes emphasize that this place is a beach, but as long as it is not salted and it is salty, it is still the lake. 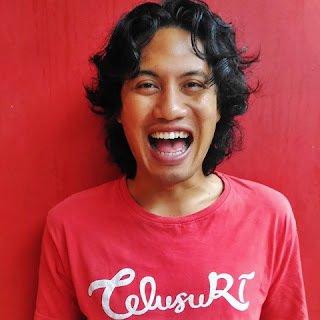 From Poso City is about 57 Km to Tentena. To get an interesting location can walk to Siuri a location that looks like a beach. Siuri is located in Tonusi Village and still in North Pamona-Tentena sub-district. The winding road to Siuri and enough for one vehicle. If passing must find a place that is slightly broad. The forests and cocoa plantations dominate this place which is the characteristic ofthe highlands. The cool air feels so far at Siuri. Unlike the beach, though it looks like a beach. The heat of the sun was like warm water. The thick fog sometimes comes and goes away because it is in the mountains. A thin mist still covered between the hills in the surrounding Lake Poso. The weather is very friendly, so very comfortable so first time visit. Form sands at Poso Lake. The white sand here is not like on a beach derived from the shells of marine animals. 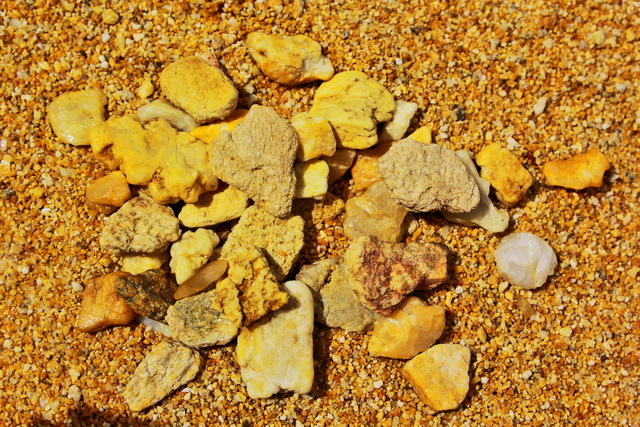 The sand here if the note is brownish yellow comes from the rocks. The rocks that if really noticed look shiny, some even transparent. Maybe if this big stone little can be used as a gemstone, but unfortunately its size is only as big as the grains of sand. Can not wait to throw me into the Poso lake. I'm still not sure it's a lake or a sea. Once jumping into the water, feels fresh, cool and tasteless. True this is a sea that is not salty when my head rises on the surface. I tried to touch the bottom of the clear lake. 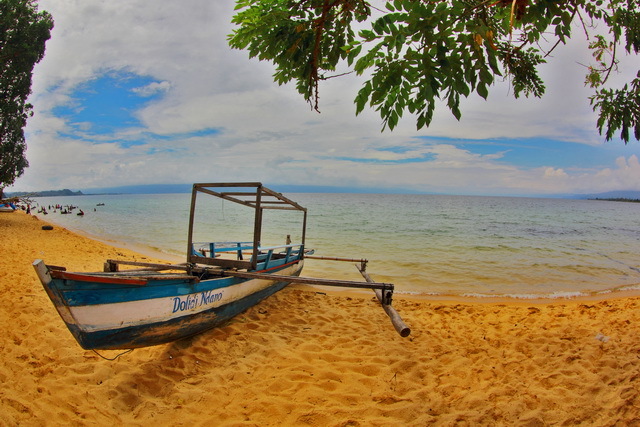 The Beach of Poso Lake. The small fish of the inhabitants of Poso Lake move around to find a hiding place when I'm chasing him. According to information, there are several types of fish in this lake, such as; Nila (Oreochromis), mujair (Oreochromis mossambicus), , and Sogili (Actinopterygii). The most famous is sogili fish. This fish is similar to eel and many commonly call with eel fish. Currently sogili fish more difficult to obtain because human intervention is getting bigger. Sogili fish have different properties such as salmon. When about to breed this fish will spawn toward the estuary. If sogili has grown up will return to the lake. 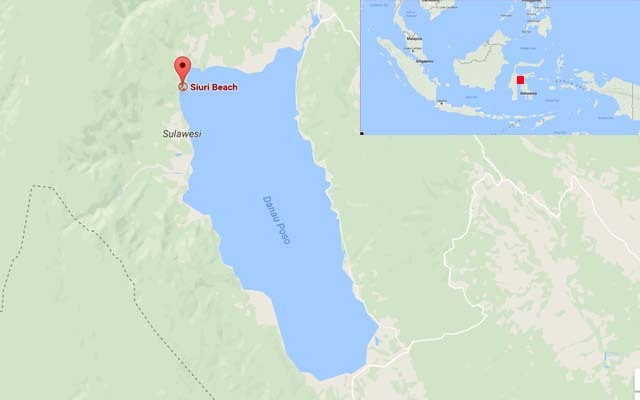 Siuri became proof of how the poso lake worth reckoned to be one tourist destination in Tentena even Indonesia. I can say this is a lake that is really like the sea, even the freshwater waters.